Tape spine with masking tape. Random collage using bits lying around my desk. 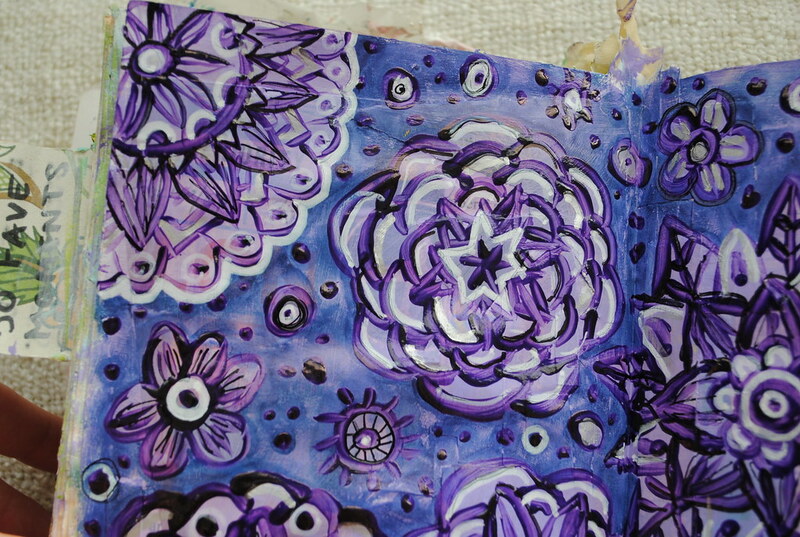 Paint (mix of light blue and dark purple to end up with lilac). 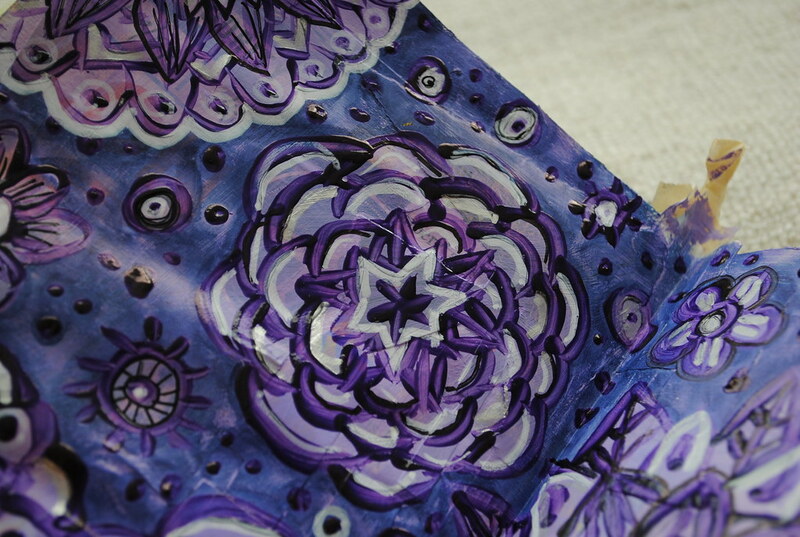 Paint mandalas (dark purple with glazing medium for extra shine and to make the paint more fluid). 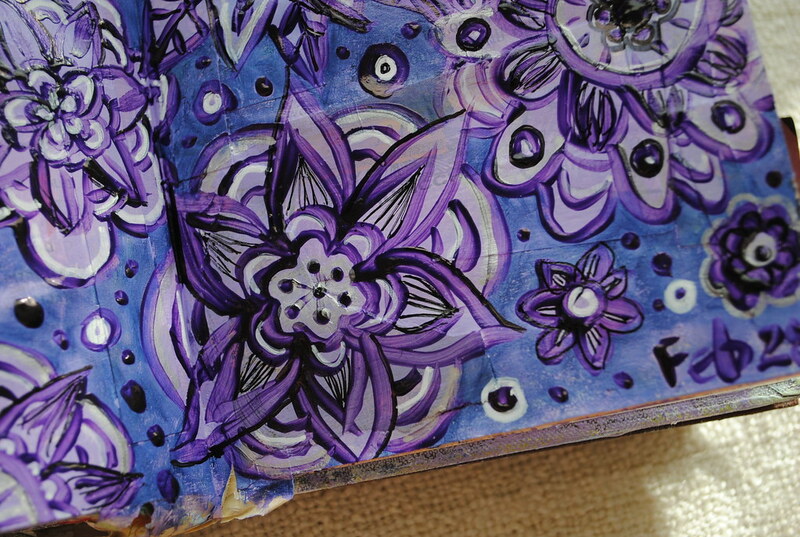 Add details with Sharpies of various sizes (black, white and silver). 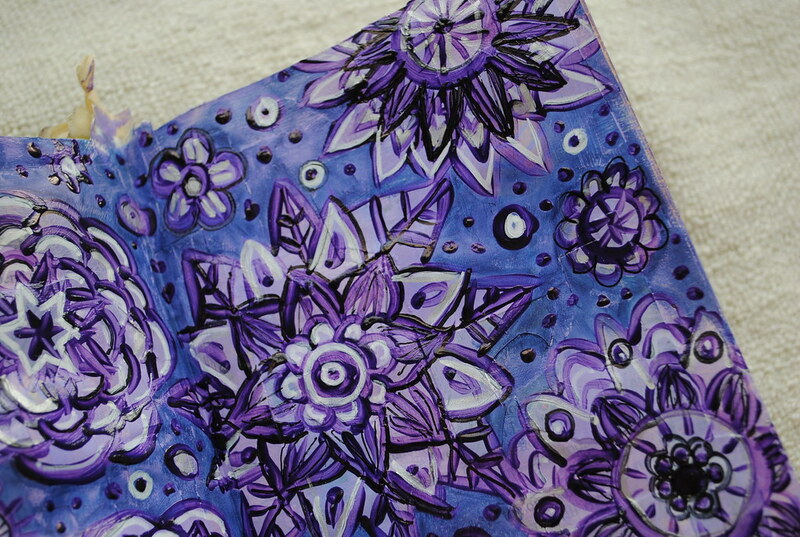 Fill in the background (smudging a blue Faber-Castell Pitt pen). I totally winged it when I painted these. 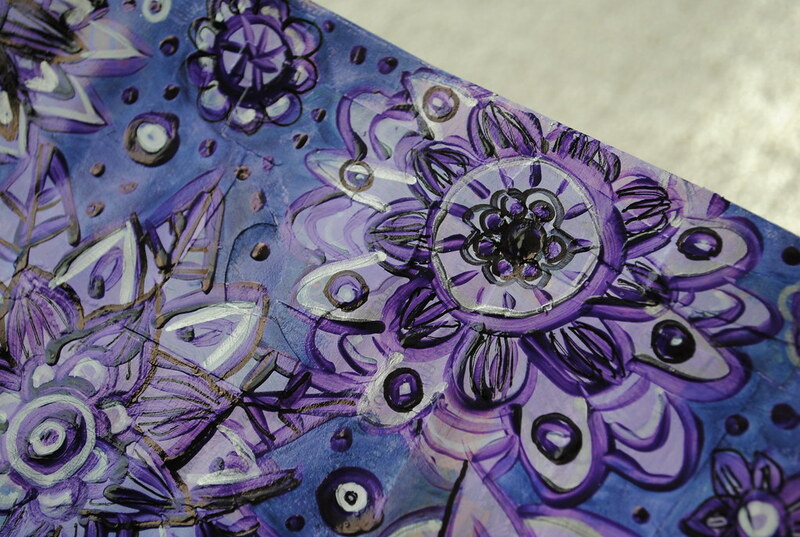 I started with a thicker brush and progressively switches to thinner ones as I went on. 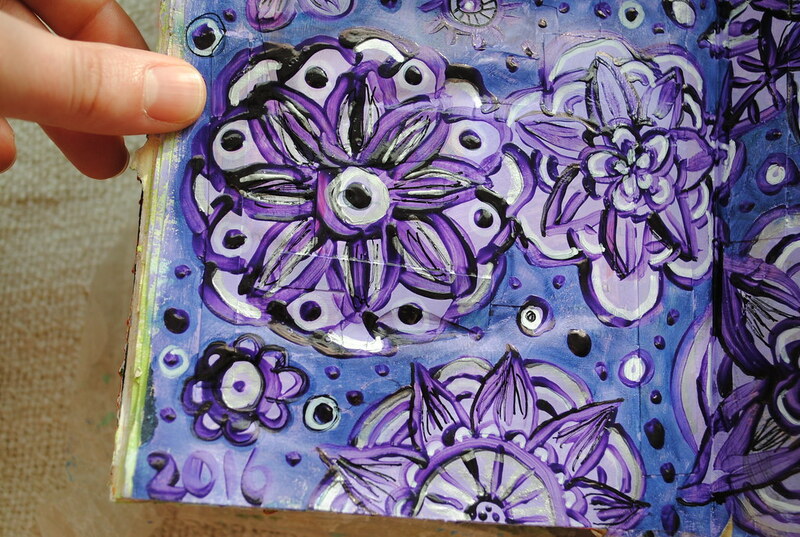 Once the big flowers were done, I filled in the rest of the space with smaller flowers, circles and dots. I absolutely LOVE how this turned out! 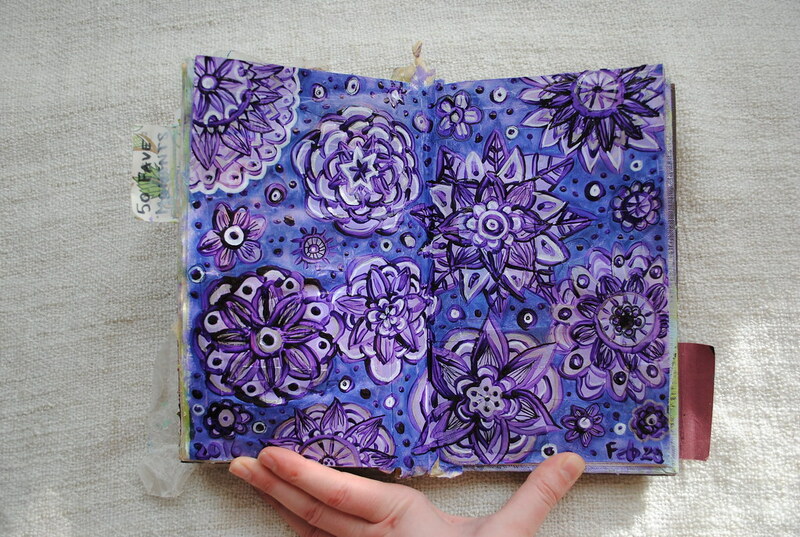 I might just have to try painting mandalas on a few more pages as I finish this book!